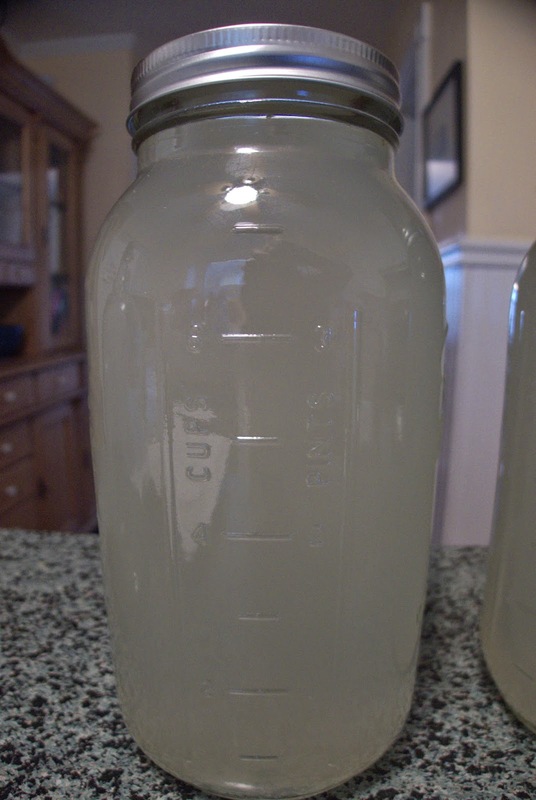 Fermented, unpasteurized food is literally alive with bacteria. To our modern sensibility, where bacteria has become public enemy number one, this may sound horrifying. Not all bacteria is a danger to our health, in fact the bacteria in fermented foods have tremendous benefits. These beneficial bacteria are carried straight to our digestive systems where they not only aid in digestion but make the food we eat more nutritious and contribute to our body's immunity to harmful bacteria. 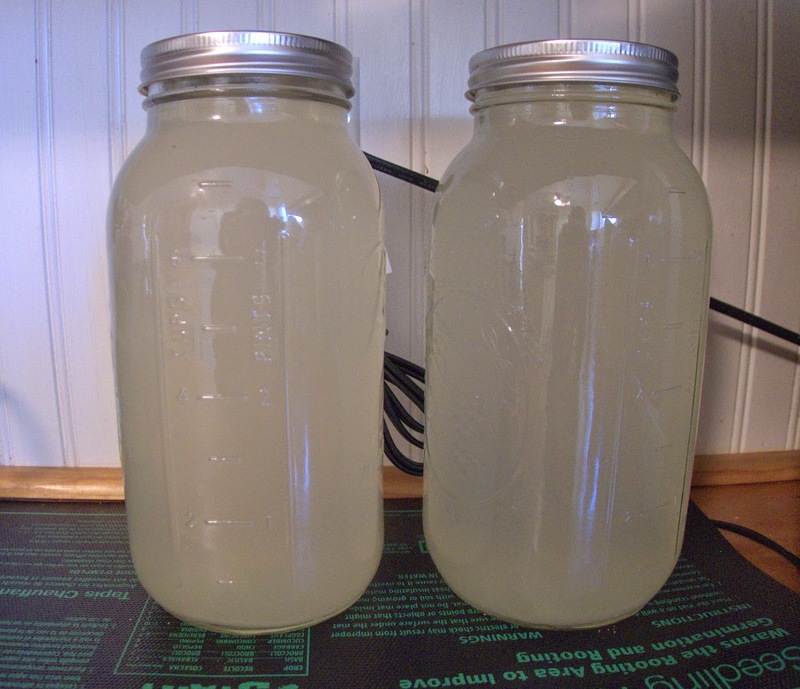 This recipe for ginger beer uses wild fermentation. Wild yeast is in the air all around us and this method creates an environment where the yeast will thrive and grow, causing fermentation. 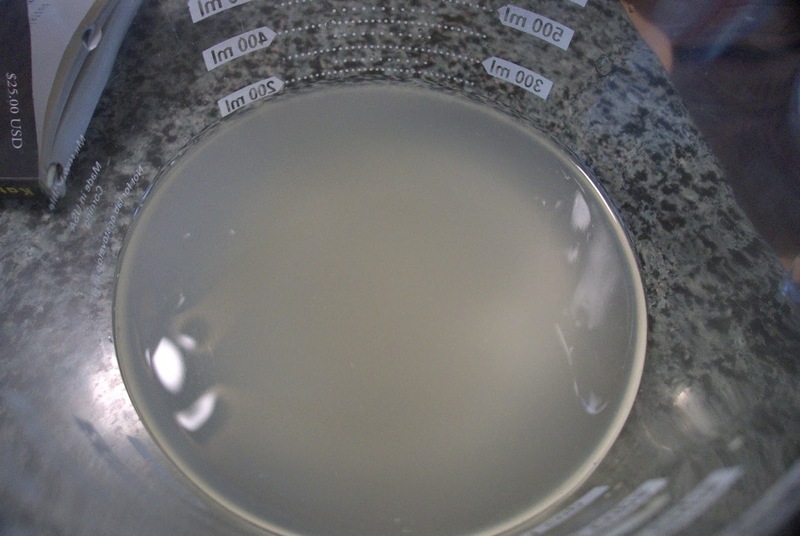 Anybody can create these conditions in their kitchens unless they heavily use bleach or antibacterial cleaners, in which case they probably have killed all the wild yeast! The first step in the recipe is to make a ginger bug. The bug consists of grated fresh ginger, sugar and water. 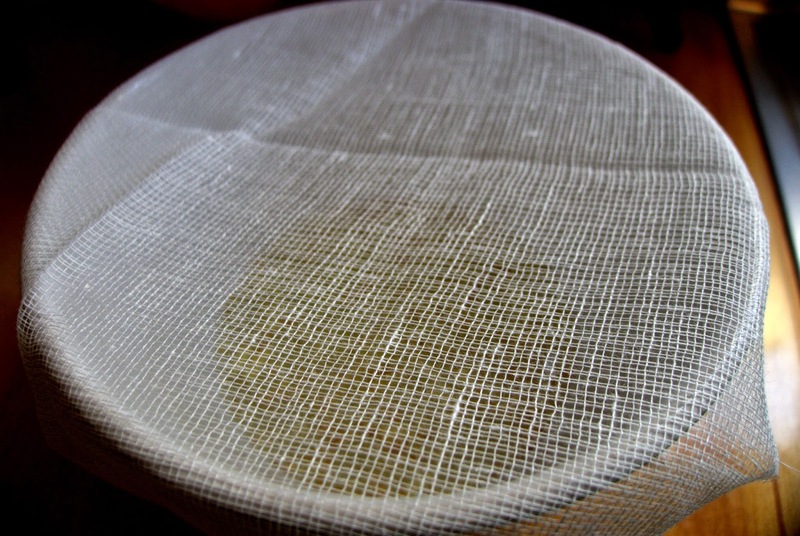 The mixture is covered in cheesecloth and left in a warm spot. The bug is fed every couple of days with more ginger and sugar until the mixture starts to bubble. This can take up to a week. 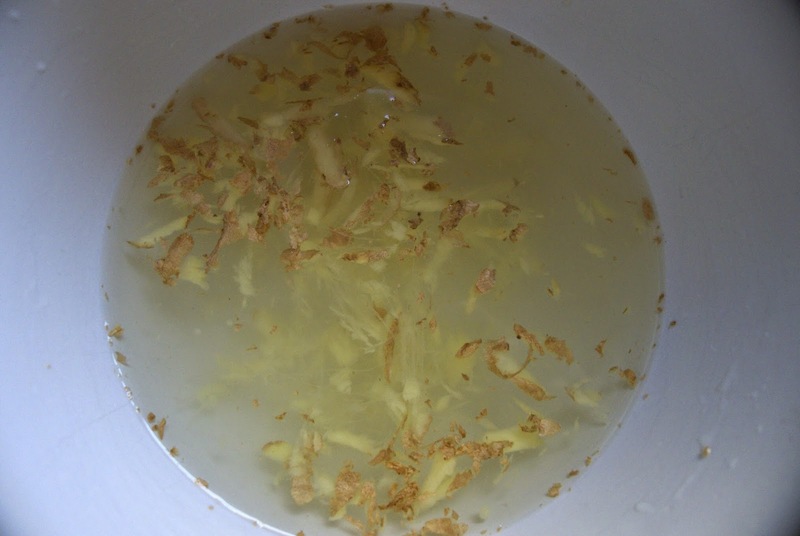 To make the ginger beer, water is boiled then more sugar and grated ginger added along with lemon juice and the strained ginger bug. After the mixture is cool, the beer is poured into sealed jars and left in a warm place (or on a heat mat) for two weeks to ferment. Before opening the jars I put them in the fridge to cool. The beer was fizzy, gingery and very refreshing. We drank it with meals and I have to say I do think it aided in digestion. I enjoyed watching the fermentation process. It is quite amazing to see this low tech, ancient culinary practice working before your eyes. There is a lot we can learn from the old ways - lessons about how we are part of the natural world and not separate from it. How even microscopic bacteria can have an important part to play in our health and diet.